It is important to address the underlying condition when treating gastroparesis. Diabetes is one of the potential causes of gastroparesis, so it is important to explore the diagnosis or work with Dr. Yamini to manage gastroparesis if you have already been diagnosed with diabetes. You will also need to make changes to your diet if you suffer from gastroparesis. Adequate nutrition plays a key role in managing gastroparesis. Dr. Yamini will recommend dietary changes to you when gastroparesis has been confirmed through diagnosis. There are a number of foods which exacerbate the condition, so you should expect to make major changes in what you eat and drink. These lifestyle adjustments are necessary and will provide you with relief from the symptoms of gastroparesis. Another aspect of treatment involving diet involves how you eat. Dr. Yamini will advise you to eat smaller meals and more frequently, learn to chew food thoroughly, and eat well-cooked fruits and vegetables only. Recommended diet changes include avoiding fibrous fruits and vegetables while sticking to low-fat foods as much as you can. Dr. Yamini understands the challenges of completely changing your diet – especially when it comes to cutting out the foods you love. As part of your treatment, Dr. Yamini will work closely with you to ensure that dietary changes result in a balanced diet that is achievable. You can even continue to enjoy your favorite foods by adjusting portion sizes and frequency. The goal is to reduce the impact of symptoms while allowing you as much control over diet as possible. 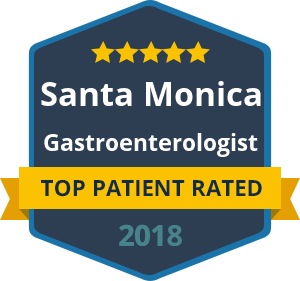 To learn more about how Dr. Yamini can help you manage the symptoms of gastroparesis, reach out to our offices in Beverly Hills or Santa Monica. We look forward to working with you cooperatively to find the best balance for your needs.